Milton Keynes, United Kingdom — 9th August, 2018 — Synology® Inc. today launched RackStation RS1219+, a brand new Synology 2U 8-bay NAS featuring storage scalability and M.2 SSD support to supercharge its performance. Thanks to the compact chassis design, RS1219+ is capable of fitting in a 2-post or wall mount rack and is perfect for small- and medium-sized businesses to jump start their businesses without a substantial investment in building a data center. Total cost of ownership (TCO) is a critical factor to be considered when businesses start. The storage solution they buy not only needs to be comprehensive but also economical. Featuring the capability to fit in a 2-post rack due to its 12-inch depth, RS1219+ allows you to run business from limited space without unnecessary investment in rail kits or server facilities. 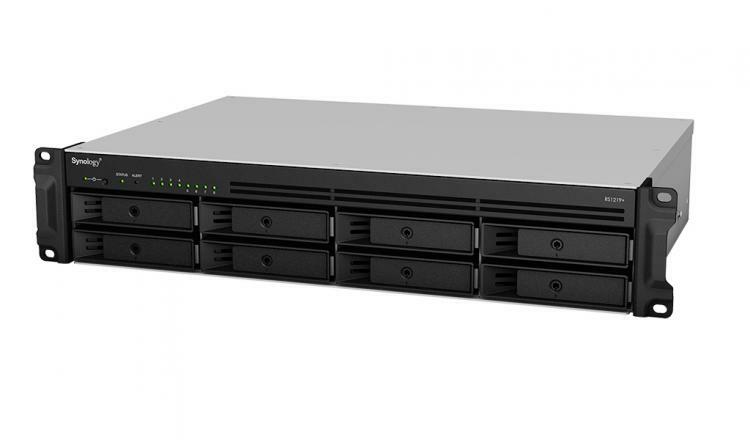 The Synology RackStation RS1219+ for small to medium-sized businesses is priced at an MSRP of £836.90 (exc VAT) in the UK, and €951 (exc taxes) in the EU.